Leaf Bar Chair. High end bar furniture. Custom bar furniture. 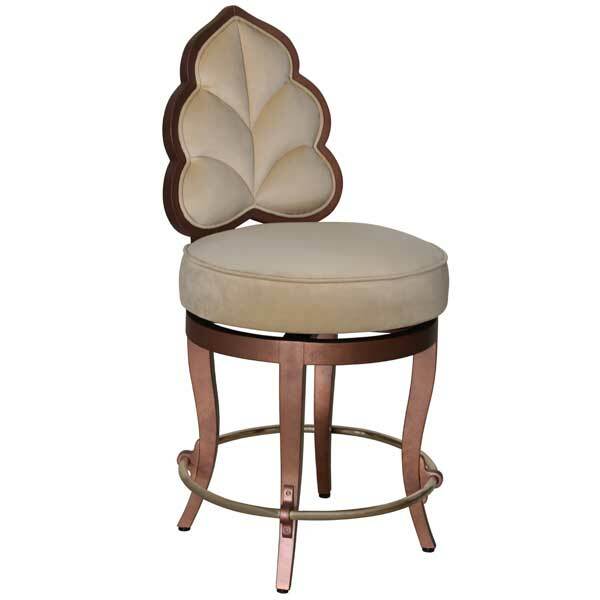 BA20402 Leaf Bar Chair - 22"W x 22"D x 49"H. Seat Height: 30"
BA20401 Leaf Counter Chair - 22"W x 22"D x 43"H. Seat Height: 24"
The Leaf Bar Chair was designed for upscale homes, pubs, restaurants, cafes, brasseries, wine cellars, and bars. With its nature inspired back, it makes an exceptional bar chair for the game room, man cave, or home bar, especially when used with one of our bars or bar tables. Hand-made in rosewood, this bar chair is also available as a counter chair. The solid brass footrest adds that special accent to this exquisite piece. The seat is equipped with a memory swivel which brings it back to its face-forward position after use. The seat cushion has 8-way hand-tied springs which will not sag even after decades of use. Custom sizing is available. Upholstery in COM or COL is offered. The Leaf Bar Chair was designed by Shah Gilani, ISFD. 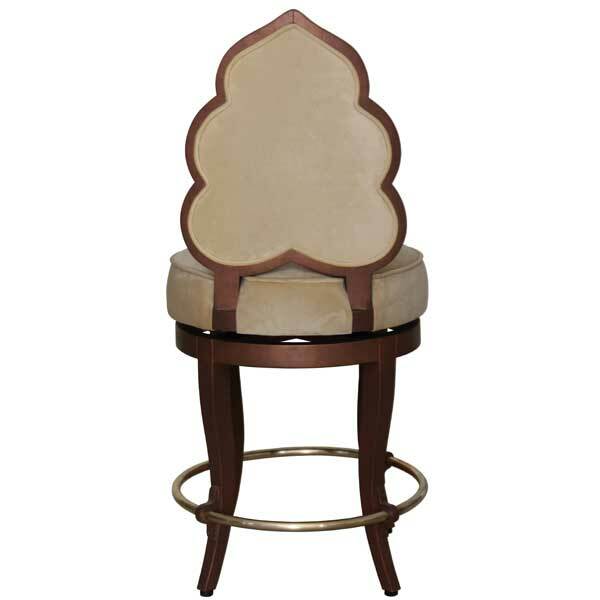 It makes an excellent bar chair for pubs, restaurants, and cafes. Available in a variety of finishes. International orders are welcome. Our shipping department can arrange customs clearance and convenient delivery to your door anywhere in the world.